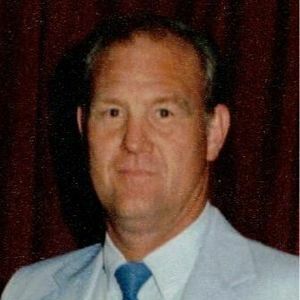 Vernon G. Royer, 76 of Rock Falls died Monday April 8, 2019 at Rock River Hospice and Home in Sterling. He was born on September 11, 1942 in Rock Falls the son of Floyd and Evelyn (Silvey) Royer. He attended Rock Falls schools. He married Patricia Ann Girton on October 6, 1962 in Sterling. She died August 30, 2011. Vernon had worked for 13 years at GE in Morrison. He then went to work for 26 years at Northwestern Steel and Wire Co retiring as a machinist. Vernon was an avid golfer and Chicago CUBS fan. He enjoyed wintering in Port Charlotte, FL. Surviving is his daughter, Laurie (Dean) Gallentine of Rock Falls; his sisters: Alice (Joe) Billings of Sterling, Marcia Chapinski of Sterling and Nina Holloway of Rock Falls; his brothers: Eddie Royer of Rock Falls and Al (Tara) Royer of Rock Falls; his grandson Ryan Sweeney and great grandson Conner Sweeney. He was preceded in death by his parents; his daughter Lana Sweeney; two brothers: Larry and Jackie Royer; his grandson Conner Sweeney and his sister Judy Barger. A gathering of friends and family will take place on Sunday April 14, 2018 from 1-3 PM at the McDonald Funeral Home & Crematory, 1002 12th Avenue in Rock Falls. The memorial service will follow at 3 PM with the Reverend Jason Borton officiating. Vernon was always a good friend to me during the baseball years and through High School. I will always remember we were on The high schools first tennis team, lots of fun times. God Bless You! With sympathy to the Family.